Welcome to the best practice business assessment test for VARs and MSPs! VARs, MSPs and ITSPs are evaluated in 12 key areas of business to measure best practices. You will better understand your strengths and weaknesses so you can decide how best to improve! The benchmarking and scoring is confidentially done by a sophisticated AI Algorithm that has learnt from the data of thousands of assessments. The test and results are 100% FREE! 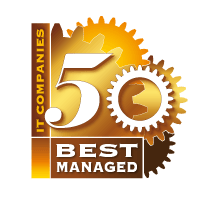 Are you one of Britain’s Best Managed IT Companies? If you are a VAR, MSP or ITSP in the UK, you WANT to see your name on this list! 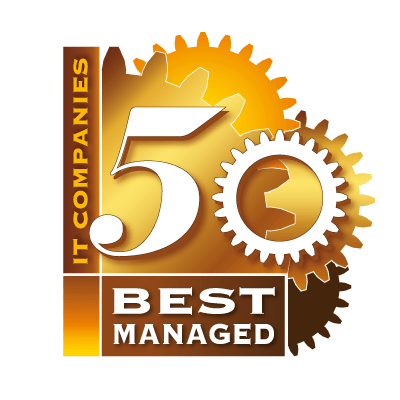 It says you are the best of the best in the UK IT Channel, when it comes to running your business. The 50 companies with the highest sum-total score will win this award. Being a best managed company has nothing to do with your sales volume. GET REAL BENEFITS from doing the test! Every applicant will be able to view their confidential results indicating what they could improve in the 12 areas of business practices. A new dashboard will help applicants to review and compare their results. Some good advice to help them become a better business. Do you want to know how well you are running your business? It's nice to win a 50-Best Award, but you get so much more from taking the test! Why the 50 Best Award Matters? Benchmark your business practices in every area! Exploit your strengths. Fix your weaknesses! Future-Proof your business!